One thing I have noticed about almost everyone's review about the Gionee A1 lite is its amazing camera. You can't get enough of this smartphone if you are a selfie freak. 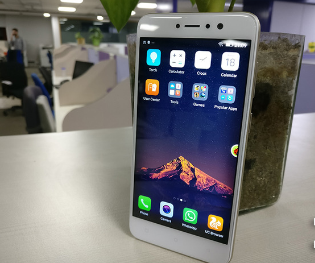 The Gionee A1 lite which launched weeks ago in India is the first gadget I have seen to have a 20MP front camera. But, do you think the device's 20MP camera would translate into quality images? well, let us see! This device which happens to be a trimmed down version of the Gionee A1 comes with a metallic body, on the right side is the volume and power keys, while the left houses the dual sim port which also acts as the microSD card slot. As expected, the headphone jack and charging port are at the bottom. The Gionee A1 lite comes with a massive 5.3" HD IPS LCD with corning gorilla glass over it, with the front camera at the top and the soft keys on the lower bezel. One thing I love about this device is the slim look that makes it handy. The device runs on an Android 7.0 Nugat operating system with Amigo UI 4.0 layered on top. You can't expect a better speed with this device powered by Mediatek MT6753 Octa-core 1.3 GHz Cortex-A53 with Mali-T720MP3 processor. The Gionee A1 lite comes with an internal storage space of 32GB with a 3GB RAM size. The Gionee A1 lite is powered by a 4000 mAh battery. The device has Wi-Fi 802.11, Bluetooth v4.0 and micro USB 2.0. GADGETSNOW confirmed that while testing the pre-loaded games, it performed fairly well, with barely any lag, but the moment you try to play heavy games like the WWE Immortals or the Injustice: Gods Among Us, you'll start noticing that the device heats up and the visuals tend to lag quite frequently. In conclusion, the selling point of the Gionee A1 lite is it's 20MP front camera. Gionee did this to attract selfie freaks, and its a well thought out plan.